The education sector includes not only the school and university education but also all types of corporate and personal training and coaching. Out of the wide range of educational sectors on ths page we collected resources for all who have to do with foreign languages or want to study in Germany. .
ENGLISH ABI Training 2019 : The countdown for the 2019 graduation exam in English has started. If you want to be prepared thoroughly and if you are looking for a flexible, professional and targeted support, try one-to-one sessions via Skype. Experienced native speakers, with excellent teaching results in the last years will be your trainer. Give it a try and book the starter package of 2 test sessions at a special price. Sprachschule-24 offers custumised language courses for companies in almost all languages. Whether you require one-to-one lessons or group courses, telephone trainings or interviewing exercises, Sprachschule-24 can provide courses in the whole of Germany thanks to a large network of qualified language teachers. Besides language trainings, it can also offer intercultural trainings, which teach the cultural norms of the respective country. OBS!Online offers language courses in nordic languages: Swedish, Norwegian, Danish, Icelandic, Faroese and Finnish - in Germany as well as in Scandinavia. Qualified trainers teach face-to-face and via skype. Individual advice guarantees the suitable course for everyone - for professional as well as for private purposes. French language courses for adults in Antibes – French Riviera – in an accredited school opened all year round. Universpain - Spanish Courses offers Spanish courses in Salamanca and other cities in Spain such us Santander, Barcelona, Malaga and Valencia. We consider that the most important thing for our students is to learn Spanish properly and feel comfortable while their stay. And that is what we know how to do best. EasyGoLanguages.com offers language courses, including Spanish, French, Italian, Russian, English, Chinese and Japanese in destinations where they are native languages. English school UK: The Bristol Language Centre offers English courses including Business and IELTS English courses, as well as evening group French, German and Spanish courses in Bristol. Wiracocha Spanish School in Peru is an organization that takes care of all details especially the little ones, this is to insure that ALL our clients are 100% satisfied. Study in France: Learn about study in France, Get all the information about why study in France, fees and affordability, top ranking universities and colleges, top bachelors and masters courses, admission process, scholarships in France, visa requirements, cost of living etc. in France. Dolmatio Translations is a polish translation agency providing translation at very affordable prices in a broad range of fields and languages. Russian translation services RUSLINGO offers translations into Russian, Chinese, Spanish. It specializes in Russian and provides translation in fields such as Oil and Gas, IT, Engineering. Transcription services - Professional transcription services for all industries. Over 40 languages supported, affordable rates. Tongue tied is an international translation agency based in from Manchester / England. They offer a comprehensive spectrum of high-quality language services. At GoodWritingHelp.com you will find guidelines how to write essays, as well as research papers and even dissertations. Free essay helper for all students. Russian Translation Services: TridIndia is among the world Top 10 language translation company which provides Russian translation services at a competitive price. Mixwerk - A Full Service localization company based in Berlin. On our website you`ll find in 5 languages a lot of tips and tricks about the translation and voice over business in Germany. You can also guess languages by hearing voices from over 40 countries. Translation School - Worldwide translation schools directory. translation uk - London based translation agency offering high-quality translation. German/English translations in Berlin - Christine Volpert delivers professional English translations. May it be a single document, an extensive manual or an important presentation? No Problem! Christine Volpert translates it for you from English to German or vice versa! Translation into English: Global Translations provides English to German language services. Japanese Translator - GoiHata provides professional English Japanese Spanish translators and interpreters for technical tasks. OBS! Online consulting about learning Swedish, Norwegian and Danish . Localization Services - Argos Translations is a leading European document translation company offering professional translation services along with localization services, DTP and Voice-Over work into all European languages. Japanese Spanish Translator - Provides Japanese Spanish translator, japanese dtp, Scientific translations in Europe and offer cheap & economical translations services. Translation services - Translation company based in London England serving businesses throughout the world. Translation Services : 7 Brands offers accurate and timely translation services in all languages. Turkish Interpreter : Turkish language interpreters at Link Translations provide comprehensive Turkish interpretation service. Language Translation : Translationplus.com Is a professional language translation & interpretation service provider dedicated to providing accurate and culturally sensitive international communication services that meet and surpass industry standards. Learn languages abroad! Sprachdirekt offers you quality language courses for learning English, French, Spanish and Italian in foreign countries. Book your course at www.sprachdirekt.com – Accredited language schools, great destinations and new friends abroad are waiting for you! Private-Language-Schools.com - Your language travel agency with the experience of a language school. We offer selected courses from private language institutes around the world. Tips for learning languages ​​and language travel abroad. Success in language learning : Trust in more than 20 years of experience! AIESEC is a global, collaborative youth-driven network which believes in practical learning and ethical everyday leadership. They activate leadership qualities in youth through learning from practical experiences in challenging environments. They also offer internship and volunteering programms. Distance learning: Distance learning has made education accessible for everyone, including the physically challenged, who could otherwise have not been able to complete their higher studies at a regular college. It has become an integral part of today’s education. Professional Development for Teachers: Online courses through accredited universities. Work towards your next degree while fulfilling your continuing education requirements. INTCAS is a institution with a far-reaching and dynamic offering which unites the global education sector. Their vision is to connect the world through education. 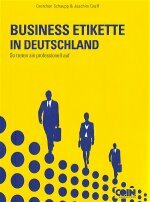 Perwiss.de/links-zu-auslandsentsendung versteht sich als Wissensplattform mit ausgewählten Themen für Mitarbeiter, die von Ihren Firmen ins Ausland gesendet werden, aber auch die betreuenden Personalmanager, können sich hier umfassend informieren. "Welche Relocation-Unternehmen sind für mich geeignet? Was tun, wenn ich die will? Wo gehen meine Familie mitnehmenKinder dann zur Schule? Was muss ich steuerrechtlich beachten?